When you think about your ideal Fourth of July cookout, I’m sure the word “vegetarian” isn’t the first to spring to mind. I bet you’re thinking about charred hot dogs, juicy burgers, maybe even some chicken and veggie shish kabobs. With a little Bruce Springsteen in the air, some picnic blankets on the grass, hopefully even a softball being thrown around, it’d be hard to imagine what could make that afternoon better. Then again, I suppose having some perfectly sweet relish to spread onto that burger, or smearing some delicious mustard onto your hot dog, or even just knowing that your feast could end with some classic apple pie, would help. 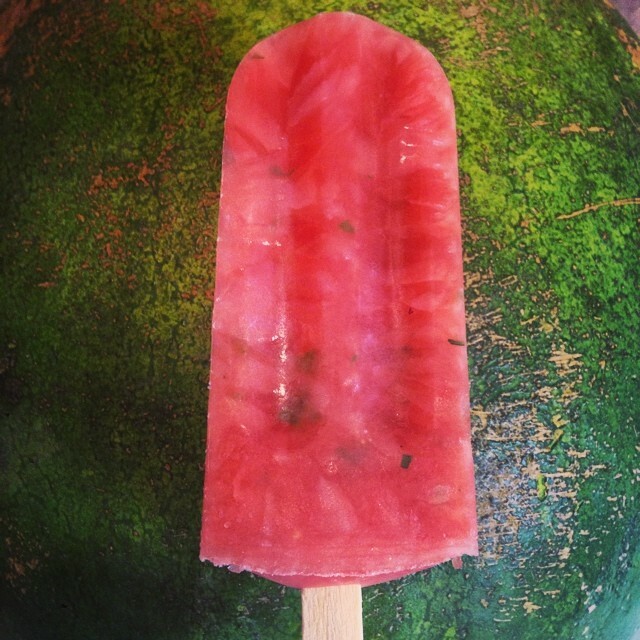 And finally, the simple idea that you could watch the fireworks while cooling off from a hot summer day with a Watermelon Mint pop…Well, stopping by a “vegetarian” spot like Pleasant Pops might not be as crazy an idea after all. Let’s start with the sides. As far as pickles go, we’ve got some pretty scrumptious options. From Number 1 Sons, we carry both their Kicky Kosher and District Dill pickles. In addition to the amazingly pungent Kimchi (and Kale-Chi) on our shelves, their pickles are reliably crisp and practically addictive. 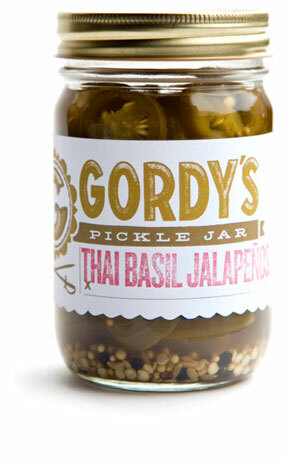 While you can find those pickles in our cold case, Gordy’s pickles are for sale in our dry-good market area. With a few more products practically intended to top a burger during a picnic (Sweet Pepper Relish, Thai Basil Jalapeños, and, my personal favorite, Cherry Pepper Spread), they also have two pickle options: Hot Chili Spears and Sweet Chips. Though pickles never demand to be the main course, they certainly provide a necessary balance to a heavy main dish. Another perfect burger or dog topper is mustard, and have we got the mustard for you. Tin Mustard is 100% natural and 100% delectable. Though I’m not much of a mustard gal myself, I would be the first in line to spread a nice thin layer on my bun before loading it up. For the much anticipated sweet end to the meal, what’s more American than Pie. 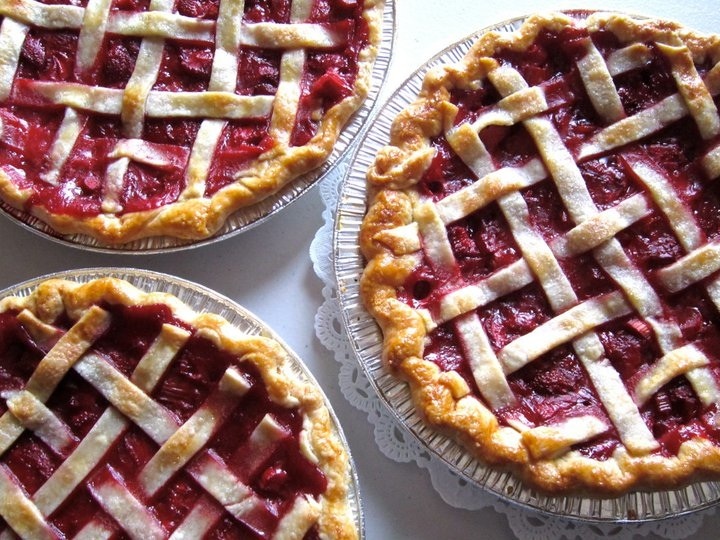 At Pleasant Pops we love carrying pies from Whisked!, a DC baking company. Just in time for the Fourth, we’ve received an extra awesome delivery of both 4-slice pies and 8-slice pies, in some scrumptious fruit flavors (think Apple Crumble and Strawberry-Rhubarb!) To learn more about Whisked check out our earlier post at http://pleasantpops.com/blog/2014/4/16/whisked-pie. So now that your burgers are topped and your sweet tooth is satisfied, the only thing left to do is cool off and enjoy the fireworks. Our Pops are the perfect treat to bring your Fourth of July celebration to the next level. Sure there are the favorites like Strawberry-Ginger-Lemonade and Cookies-n-Cream. But if you stop by on the Fourth you will be the first to enjoy this seasons’ Watermelon-Mint and Sweet Cream & Corn Pops. If that doesn’t sound like the perfect end to an American cookout, I don’t know what does.